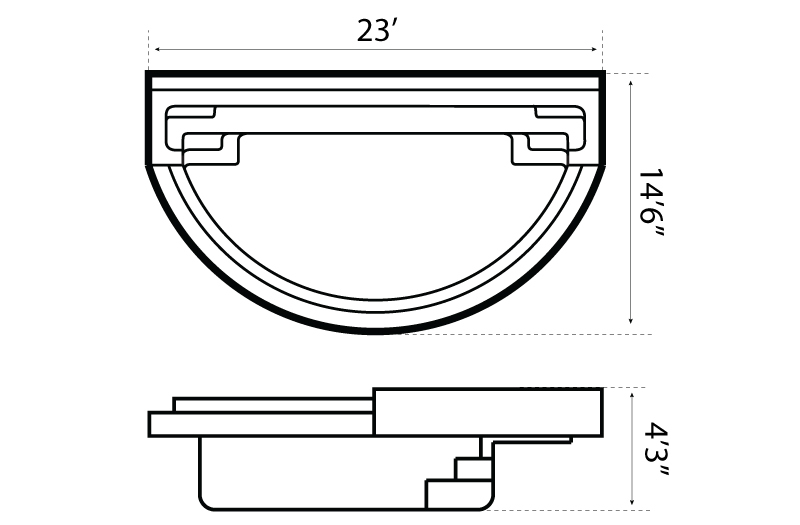 Horizon pool model is one piece fiberglass construction and has a unique half circle shape. 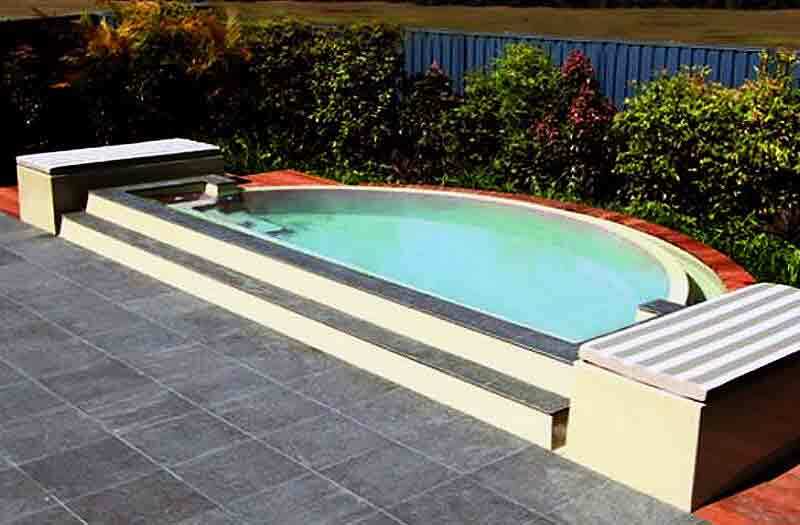 Horizon offers an infinity edge with built-in reservoir. 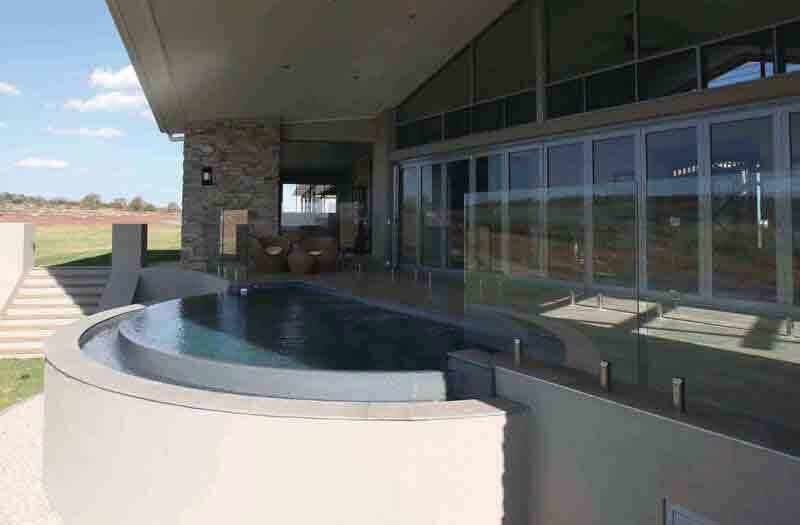 Wide entry can be used as a SPA sitting area with optional therapeutic jets. This model comes with optional side storage compartment/sun lounge that can conceal smaller filtration system. The Horizon, Leisure Pools? latest addition to its range is like no other composite pool being produced in the world today. 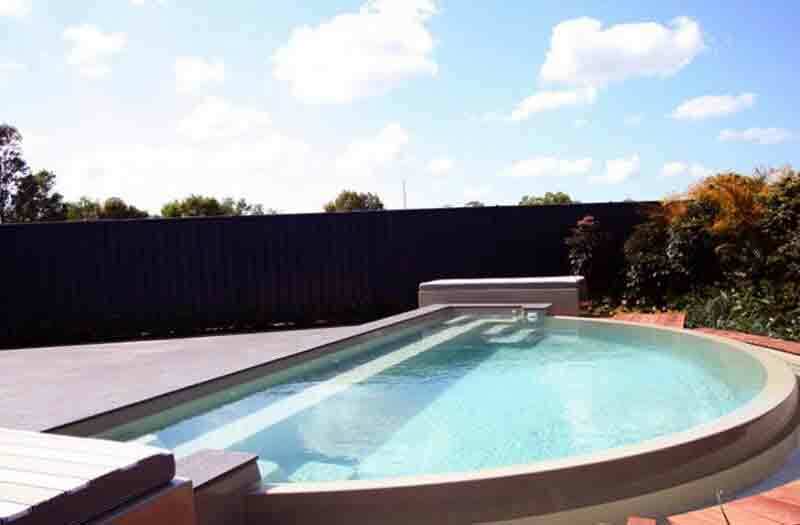 The pool features a stunning infinity edge causing water to seemingly disappear into the horizon whether it is a beautiful panoramic view or your own landscape creation allowing water, earth and nature to combine. 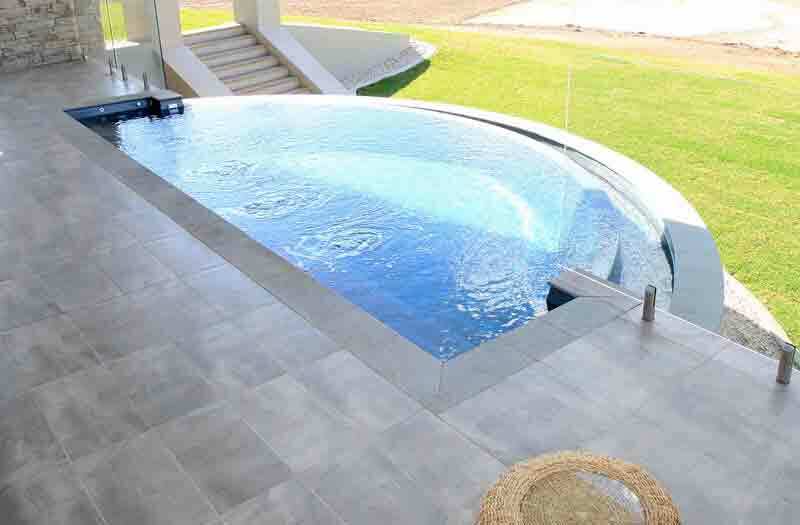 This ingeniously created swimming pool includes patent pending design and innovation technology whose design encapsulates the transition from in ground to out of ground. 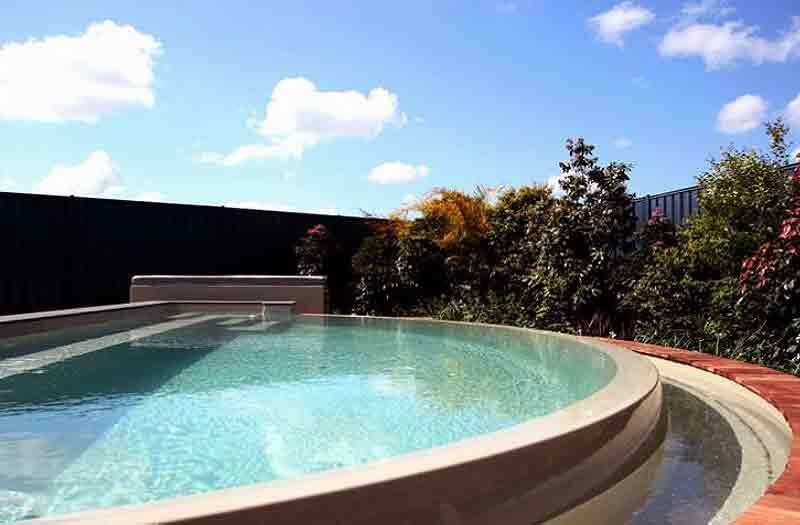 Optional storage compartments can be added to the pool to conveniently house its filtration equipment. The compartments effectively protect your valuable filtration equipment whilst allowing it to operate more efficiently due to its proximity to the pool. The compartments double as sun lounges so whilst the kids are swimming you can be relaxing on the comfortable cushioned lounges. Leisure Pools latest offering, the Horizon, is a totally unique swimming pool which we believe will revolutionize people thinking about the way we enjoy water.